What a great cycle! The more we receive God’s love for us, the more rest we have in our hearts. The more rest we have in our hearts, the more we can receive God’s love. How do we do it? How do we receive His love for us? We need to believe Him. Let’s look at it in the human realm for a moment. When Mike tells me I am beautiful, there is a part of me which is full of insecurities that has difficulty believing him. That same insecure part of me doesn’t 100% believe in God’s unconditional love for me either. But Jesus DIED for us. And over and over He proclaims His love for us. He does not lie. We are indeed, as the Eldredge’s book would say, captivating. I think that one of the reasons that flowers speak to us so powerfully is that they are tangible evidence of God’s love. 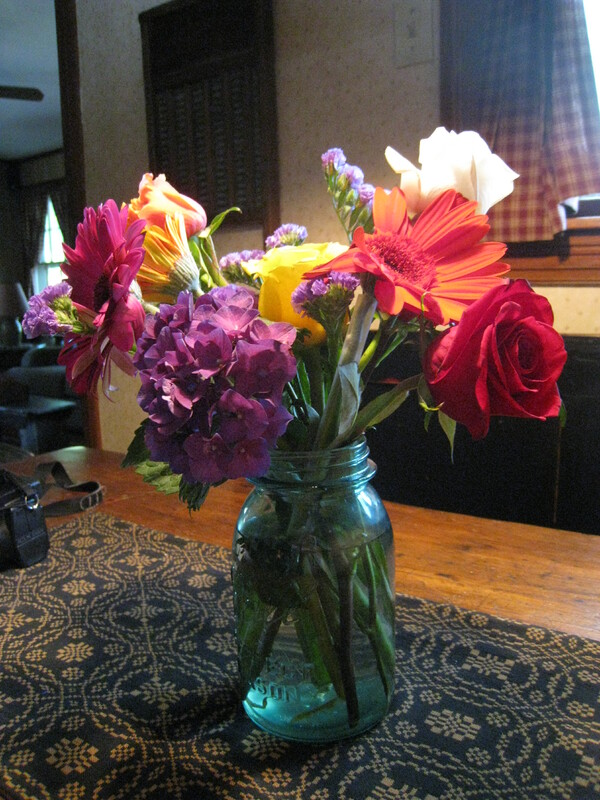 When we cut flowers from the garden we are bringing evidence of His love into our homes and into our hearts. We can also challenge ourselves to look for other love letters from God in our daily life.